I retired in 2000 and decided to take up fly fishing. I have fished since a little guy of 7-8 years old. I went to the Puyallup Sportsman Show in 2000, expecting to learn about organizations related to fly fishing, I overheard Bob Shirley and Larry Gibbs talking to Arny Gidlow (Arny is a guide on the Missouri River) about the Puget Sound Fly Fishers in Tacoma. Well, the rest is history, I have absolutely enjoyed our sport and relationships I have made from that day on. Bob was the President of PSFF at the time and he didn’t waste anytime getting me involved in the club. He was also President of the WSCIFFF in 2003 when he invited me to join the Board of the Council. Over the years I have been Secretary, Vice President (West) and presently the Government Affairs Chairman which I really enjoy. I pass on fly fishing/government information from WDFW and various other fishing organizations to all the IFFF club’s in Washington, including non IFFF Clubs, in addition to many interested individuals. 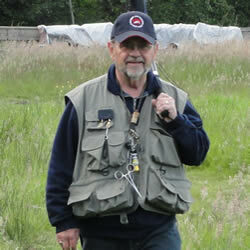 In 2009, I volunteered with the NW Youth Conservation and Fly Fishing Academy. 2010, I became co-director. Since 2010, we have graduated many boys and girls from The Academy. The Academy is a youth education project of WCTU and made possible with the help and support of WSCIFFF. I am very proud of The Academy and appreciate the support that we receive from the fly fishing community to make this week long event, a lifelong experience for the future fly fishers of our sport. In 1962 I saw then famous fly casting great, Jim Green, fishing for shad below Nimbus Dam on the American River east of Sacramento, California. At that point in time, I had never seen anyone cast a fly as well or as far. I was hooked, landed, and never to be released. Soon thereafter I bought my first fly rod with money earned from mowing lawns. I have been fly fishing and fly tying ever since. I initially joined California Fly Fisherman Unlimited in Sacramento with the idea of becoming a better fly fisher. I can still smell the fragrant smoke of pipe and cigar heavy in the room populated with men wearing formal sporting or business attire, speaking of big and large numbers of fish from recent trips, but rarely sharing a word on what fly they used or where they fished. Stepping into this club as their youngest member I was intimidated. However, attending my first meeting I met two noteable characters, Dr. Stan Inoyue and Mr. Art Rathbun, who I will never forget. These kind souls took me under their wing and encouraged and mentored me. Stan with only positive comments, critiqued my Perrine fly box stuffed with my recent creations. Art encouraged me to improve my casting and to participate in teaching at our clubs fly casting clinics that were put on during spring and summer meetings. Art was only a fair caster, but a great fisherman, and a wonderful and encouraging teacher and mentor. What I learned from these genuine and sharing sportsmen was that it was all about giving and encouragement. The sporting life of fly fishing gave me so much that it wasn’t long before I realized it was my turn to give back to fly fishing. I have been a member of many fly fishing clubs since 1968 including: CFFU, California Fly Fisherman, in Sacramento, Puget Sound Anglers, and the Overlake Fly Club in the Seattle area, the Seattle Casting Club, the FFF Fly Tying Group, the Bend Casting Club, and the Northwest Atlantic Salmon Fly Guild in Issaquah. I have actively supported the Oregon Council Fly Fishing Expositions in Eugene and Albany since the early 90’s and the Washington FFF since the late 80’s and the Washington FFF Council Fly Fishing Fair since its inception. I have been on the Washington Council of the FFF for three terms and yearly look forward to attending and participating at the national FFF conclave/fair. I love all aspects of fly fishing. I have had the opportunity to fish in Iceland, Australia, Diego Garcia, New Zealand, Mexico and 13 states including Alaska. My top choices of species to angle for include any anadromous species that swims, and any saltwater fish that will grab a fly. I won’t however pass up a chance to catch a bluegill or a crappie on a fly. I love tying everything from tiny midge patterns, deer hair bombers, to classic Atlantic salmon fly patterns. I enjoy all aspects of fly casting including competitive fly casting and fly fishing. Bringing new fly fishers to our sport, no matter what age, as well as sharing with others everything I know about fly fishing is a creed that I live and follow. As I continue to give, I am amazed at the blessing that I receive from my participation with the FFF, especially the people who share my passion for fly fishing. I firmly believe that the act of fly fishing, in many ways has defined who I am! Kuni 36 years of fly fishing experience and is a member of World Fly Fishing Japan, IFFF and Clark-Skamania Flyfishers in Vancouver, Washington. 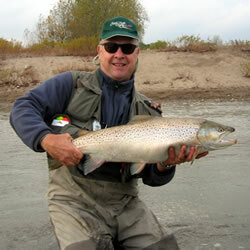 He participated in the 2012 World Fly Fishing Championship in Slovenia. 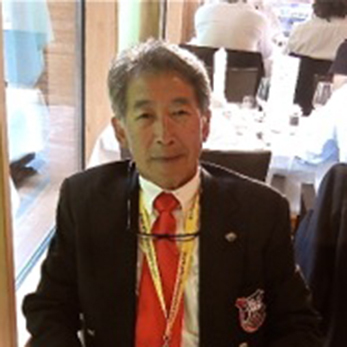 He was invited to compete as a member of Team Japan and a manager of the team.He joined one of the finest handcrafted and high performance rod makers, C.F. Burkheimer as a pro-staff in 2011. He has been invited to become a pro-staff for Wastatch Custom Angling as a demo tier. Currently he is a member of the IFFF Board of Directors who is responsible for international outreach and member of the Fly Fishing Museum steering committee in Livingston, MT as well as a demo fly tier for their fly fishing events. Over the years he’s fished in Alaska, Europe, Canada, Mexico, Japan as well as widely in the Northwestern U.S. 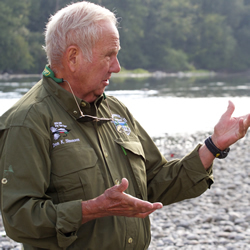 Besides being a director of the Clark-Skamania Fly Fishers, he got involved and committed to the education, conservation, promotion of fly fishing as a method of angling. And through it, an understanding of and appreciation for the diversity of nature. He manages the Fly Tyers’ Night every 2nd Wednesday of each month at the WDFW for the last 4 years. Jay has been Life member of FFF since 2009. He is a member of Tualatin Valley Trout Unlimited group. And has served as Deputy Area Coordinator for Project Healing Waters (Portland, OR and Vancouver, WA). He&rsquo;s been involved with PHW for last 5 years. Jay is a VA Hospital Volunteer, Life member of the Disabled American Veterans and Retired National Service Officer Supervisor for the DAV. He retired (medically) from the US Marine Corp after 13 years active service. 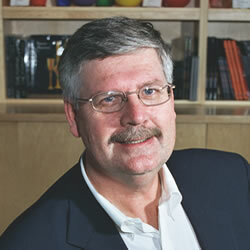 Len Zickler, currently serves as President and CEO of the IFFF and Director at Large for the Washington Council of the IFFF. 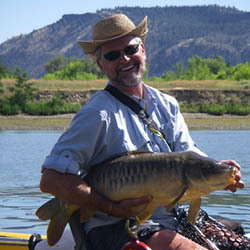 He is also a member of the Spokane Fly Fishers (SFF) and Inland Empire Fly Fishing Club. Len is a life member of the IFFF and Trout Unlimited (TU) and an IFFF Certified Casting Instructor. Len and his wife Dawn moved back to his hometown Spokane in 2008. Len currently leads the SFF casting program as a part of the Club’s annual fly fishing school. Len served the IFFF as the local coordinator for the 2012 International Fly Fishing Fair in Spokane, WA. Len is a retired principal and environmental planner with AHBL a planning and engineering firm based in Tacoma,WA. 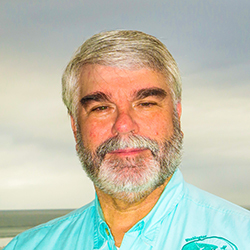 He is a recognized expert in the field of Low Impact Development (LID) – a technology intended to promote natural storm drainage management systems designed to insure the maintenance of clean, cold water for people and fish. Len loves to fish rivers and streams of the region including the Clark Fork, Clearwater, St. Joe, Yakima, Upper Columbia, Klickitat, Methow, and the spring creeks of Eastern Washington. I was born and raised on Camano Island. Moved to and lived in Seattle during my 32-year career with IBM. During that time a member of the Washington Fly fishing Club introduced me to the sport of fly-fishing. I have been a member of the WFFC for 42 years serving in most of the officer and chair positions including its president in 1994. 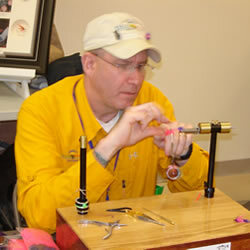 I have been teaching fly tying and fly-casting for over 39 years. I joined the Federation of Fly Fishers in the 1980’s and am a lifetime member. I am a Master Certified fly casting instructor and am a member of the Casting Board of Governors. I have served as a Director at large on the WSCFFF for a few years taking responsibility for our fly-casting efforts throughout the state. David Paul Williams tied his first fly at age seven, took his first fly-caught trout at ten and has been sliding the slippery slope to other species since. He now fishes saltwater beaches, alpine cirques, lowland rivers, urban waters and desert lakes, but jump-across creeks still have the power to bring out the inner boy. Williams is the author of Fly Fishing for Western Smallmouth, and a freelance writer and photographer whose articles have been featured in Backpacker, American Angler, Northwest Fly Fishing, Bassmaster, Fly Fisherman, Flyfishing & Tying Journal, Fly Fusion, Game & Fish, Salmon-Trout-Steelheader, Salmon Steelhead Journal, Bass Angler, Seattle Magazine, Northwest Travel, Northwest Palate. His PowerPoint programs highlight the thrill of fly fishing, be it trout, saltwater species, Mississippi Steelhead (carp) or smallmouth bass. Williams how-to classes are popular at fly fishing expos throughout the Northwest where he also demonstrates the simplicity and pleasure of tying effective flies.